Exhausted, fasting volunteers forego rest, food, holiday celebration to search for man given up for dead, but who now recovers in hospital. As the Israel Dog Unit (IDU) Commander Mike ben-Yaakov rushed back to base at the IDU kennels in Kfar Tapuach to hear Megillah reading (Book of Esther) and to usher in the joyous holiday of Purim, his mobile phone rang. 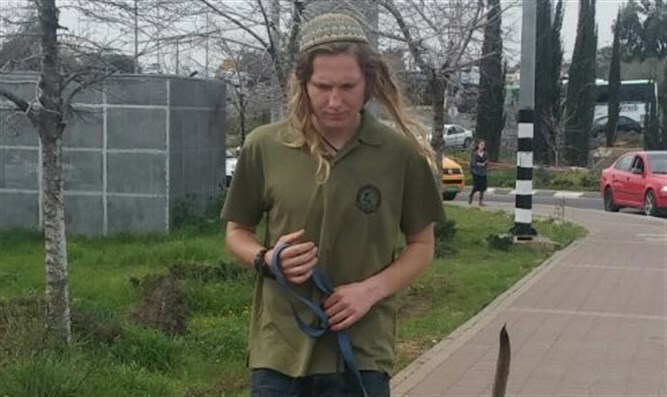 Sunday and Monday the IDU had searched for a 15-year-old Ashdod boy who was found alive and well. Tuesday they searched for a missing elderly man from Raanana with Alzheimer’s disease, who was also found alive after dozens of rescue unit volunteers searched for him. In between searches the IDU held 3 dog shows, bringing joy to hundreds of youngsters with various disabilities. 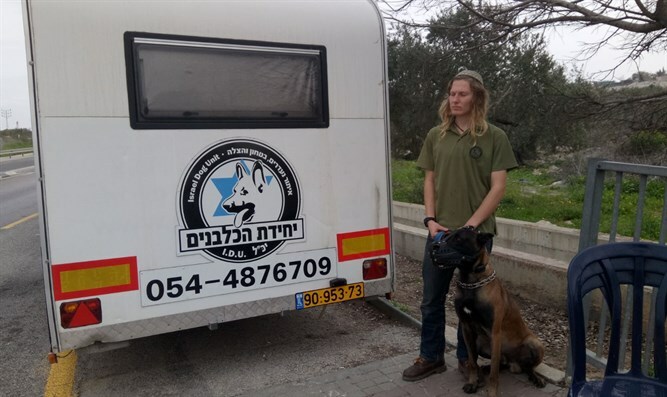 The IDU also found time to place and train three new security dogs in Gush Etzion and Samaria. Instead of hearing Megillah and breaking fast, the IDU crew loaded the vehicles with dogs, drones, thermal camera, and other vital search equipment. Ben-Yaakov realized he could not force his volunteers into a third consecutive day of searching for missing people, especially on Purim. He also realized that without the Israel Dog Unit running the search, nobody would go deep into the forest to execute an effective search. “Meshulam, Baruch, Tzvi, Ephraim, Moshe Chaim, I realize it's Purim. Anyone who wants to stay behind, feel free to do so. I know how much you've been planning to attend the party." Meshulam had made a special trip to Jerusalem to pick up his costume and wine for the party, having asked weeks prior to take off on Purim. They realized odds were against them. The missing man could be anywhere, if he was even alive. The IDU crew could not know whether they would find him, but due to the dedication and self-sacrifice of these young dog-handlers they also knew that if there is a will then there is a way. They started out. Ben-Yaakov drove the jalopy-truck with the unit's precious cargo of four service dogs. Two hours later they were on the scene. The police were glad to see them, knowing from past experience that the IDU was the only chance they had to solve the case. The police sent a helicopter with a thermal camera to hover for three hours over the forest where the man was last seen, before the IDU arrived. The forest was not dense leading into Park Britania, not far from Beit Shemesh and Kiryat Gat. The odds of the missing man's surviving the previous day’s rainstorm seemed less probable than ever, knowing the police helicopter’s thermal camera hadn't uncovered signs of body heat emanating from the man that would have been detected. To make matters worse, Dan, the owner of the property who had been a shepherd for the past 25 years in that end of the forest, told the dog handlers that he scoured the immediate area with dozens of people and that there was no way the man was in the immediate vicinity. On the other hand, however, when the man was last seen, he was too weak to get very far. They were shown where the missing person had last been seen. The IDU launched a tracking dog, but came up with nothing. Too much time had elapsed and far too many people had “infected” the area with their scent. Even if the missing man's scent was still present, the heavy rains may have washed it away. "Good search-and-rescue dogs that sniff in the air can detect any living person breathing nearby within a reasonable radius," ben-Yaakov says. "Using the wind direction, the dog could pick up the scent of a person 50-100 meters away." They then sent two dog-handler teams to cover as much of the path on both sides as possible, from the point where the missing person was allegedly spotted last, 36 hours earlier. Police and some friends of the missing person were not necessarily happy with the IDU search plans. Some wanted the dogs to search areas much deeper in the forest, insisting that they had already thoroughly covered the areas the dogs were now repeating. The IDU handlers insisted on being professional and using their experience and understanding of the case profile to decide what areas to prioritize first. They stood firm and ignored the advice. The two dog teams were sent out with their dogs. Ben-Yaakov took over a nearby house to set up a makeshift command center and to watch every movement of the teams through the unit’s proprietary custom-made phone app. With it the command center can interact with searchers, with every searcher being shown on a monitor in a map that merges all searchers in real-time with the unique color assigned them. The drone pilot stood by at the command center to launch the drone should the dogs give any indication of sniffing a live person's breath down-wind. Matan, the policeman on night-duty who was placed in charge of the police missing person investigation, called in every hour or so to find out if there was any news. In the meantime, the unit called Tapuach IDU headquarters to request they bring a cadaver dog. The police helicopters found no sign of life. At that point the tracking dog and SAR dogs had not come up with anything. It did not look good. The command center was already calling other branches of the Israel Dog Unit asking for reinforcements and asking them to start making their way to the search. The phone rang several minutes later. It was Baruch and Meshulam. “Mike! Mike! We found him, we found him, we found him!” "Where, is he alive? Send me your exact location and a picture to determine this is our missing person,” Mike insisted. He woke the others up, requesting they join him and bring a stretcher. Eishala, a 7-year-old Malinois search-and-rescue dog, caught the scent of the missing person from more than 100 yards away, exactly where the police and the others claimed they had already searched and exactly where they urged the dog unit not to waste precious time looking. The missing person was alive, and was taken to the hospital where he is presently recovering. 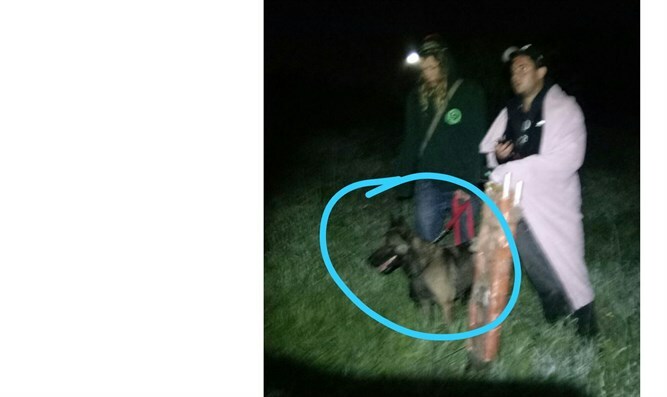 The Dog Unit volunteers arrived back at Tapuach at 4 AM, drank L’Chaim, and Meshulam and Moshe Chaim, after not sleeping for days, and in their wet clothing, went off to walk and care for the other 20 dogs that had been left behind in the Kennels. "If these young men of the Israel Dog Unit aren't a Purim inspiration to all of us, then what is? ", asks ben-Yaakov. "While their peers were out getting drunk and partying in the spirit of Purim, Meshulam and his friends were sacrificing their long-awaited Purim Party for an opportunity to save a Jewish life. Their dedication and humility is truly humbling and inspiring."